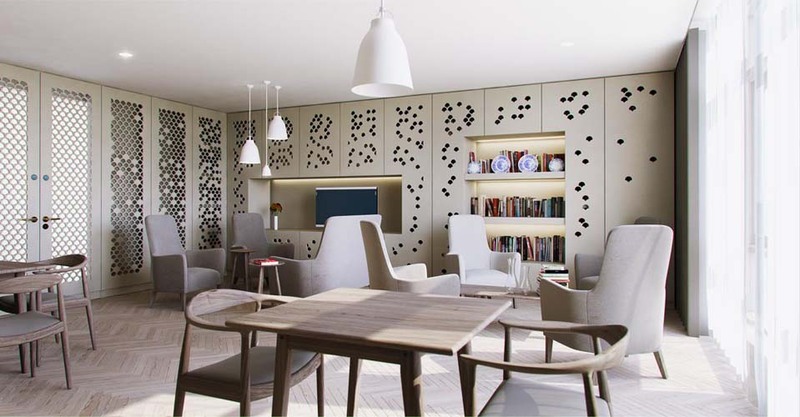 Our design for St. Anne’s Room, in St Joseph’s Hospice, transforms an existing clinical ward into a warm and welcoming home away from home that is flexible enough to accommodate a wide range of uses. 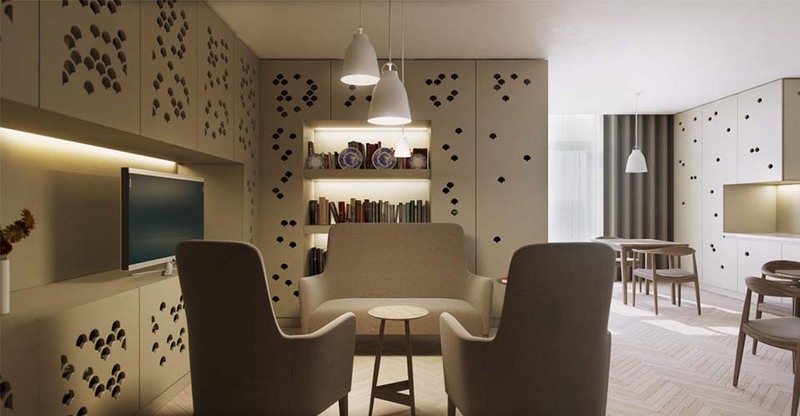 The bespoke interior will create a calming and comfortable refuge to help patients of all ages to relax, socialize and take part in a diverse variety of activities. 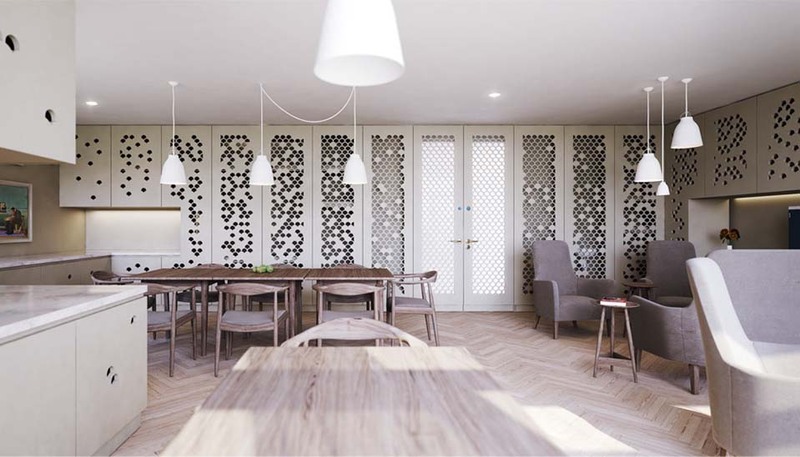 The room is lined with carefully detailed cabinetry that references patterns found in the wood panelling of the historic chapel at the heart of the hospice. The herringbone flooring and considered use of stone and brass also echoes the chapel, providing it with a presence in the hospice wards. The palette of high quality materials have been sensitively selected and detailed to age with dignity over time. Our proposal evolved following consultation workshops for which we produced postcards showing collages of design concepts. These cards were left for patients, visitors and staff to complete, inputting into the process with their ideas for the room. We were delighted with the response. The thoughts, emotions and ideas expressed in the cards directly influenced our team and our architectural proposals. We undertook substantial research for the design and specification of components that achieve the Client’s brief and exceed expectations for a healthcare compliant design that will feel comforting and non-clinical. We worked closely with specialists and suppliers to develop solutions that will set new standards in the achievement of a comforting healthcare environment, including flooring, lacquers, curtain fabric, furniture and air conditioning.